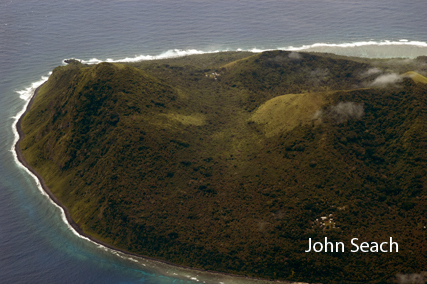 North Vate volcano is offshore of northern Efate. 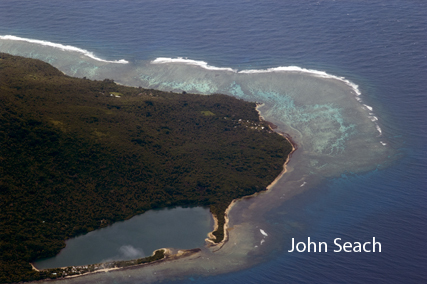 Its exposed rim is defined by the islands of Nguna, Pele, and Emao. The Island of Nguna is fored by four eruption centres aligned NNW-SSE direction. The volcanic cenbtres are Na Ora Matua, Taputora, Marao, and Aroon. The offshore islands from Efate are dirrerend from the mainland because they lack clinopyroxene phenocrysts. A magnitude 5.0 earthquake occurred at North Vate Volcano on 26th January 2014. The earthquake had a focus of 21 km. Eruptions may have occurred in the past 10,000 years.